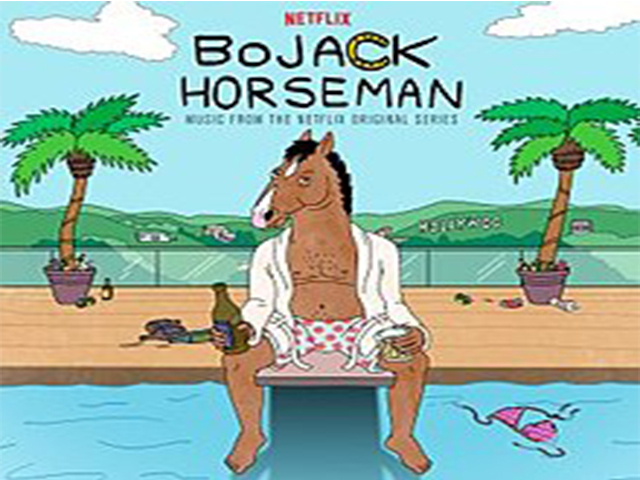 With the recent release of ‘Bojack Horseman’ season 5 and the rise of TV shows willing to tackle mental illness, it’s worth asking, are these shows romanticising or revolutionary? As more young people start to openly discuss mental illness ,we have seen that more and more TV are no longer shying away from the topic. But do these shows glamourise or simply normalise these issues. With shows depicting mental illness it can often at times be a double-edged sword of sorts, it seems that these shows either address the issue of mental health very successfully or miss the mark completely. It appears that only a mere handful of shows have received more praise than criticism for their portrayal of characters with mental illness. Think problematic and two-dimensional portrayals of what mental illness is really like, some of the issues that shows such as Netflix’s ‘13 Reasons Why ’ received criticism and outrage for. It can be easy to see why audiences would be worried with shows like ‘13 Reasons Why’ certainly opening up a conversation on mental illness but also failing to capture the nuances of mental illness. The show, faulted for the perpetuating of harmful stereotypes, seen in the unrealistic and stigmatising idea of mental illness attributed to others actions ,instead of the individual’s mental state, with the main characters arguably twisted blame-game in terms of her ‘tapes’. Shows like this could be seen as romanticising mental illness, with the glamourization of the suicide and response to it. The harmful effects of this seen in the suicides following the show’s release. As the show perhaps didn’t place enough weight on the advice of mental health professionals. However, some shows like ‘Crazy Ex-Girlfriend’ have received praise for showcasing accurate and fleshed out, renderings of mental illness, the over the top show, complete with musical numbers and melodrama, never shies away from the complexity of mental disorders. With each character multifaceted and flawed. The show is rare, in that it continues to show the many struggles and intricacies, actions and consequences for those with disorders, even after diagnosis. It is is reflective of how long running these illnesses can be. Also showing despite all the support main character ‘Rebecca’ receives, despite how successful she is, mental illness and healing is a long and complicated process that can affect anyone. Bojack, follows this same level of carefulness when handling these topics and yet again shows realism in that his wealth, supporting relationships and fame cannot help him tackle his problems with substance abuse and depression, showing that an individual’s circumstances often have little impact on their mental illnesses. Like crazy ex-girlfriend, every character in Bojack suffers from their own struggles, the show takes care to never shy away from the true depth and darkness of the disease, while also being cautious in its handling of these issues. Ultimately, although the normalisation of mental illness both on and off screen is helpful, the question of if these TV depictions of mental illness are revolutionary or romanticism, seems to heavily depend on which show we’re discussing.